Reader&apos;s Choice: Best Bets For Waterfall Adventure. We conducted an online poll to find out which waterfalls are most beloved among Asheville fans. You weighed in and here are the final results. 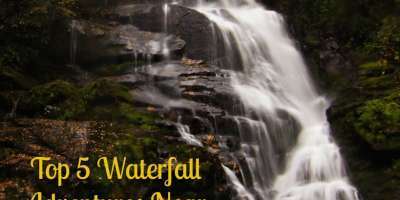 Located along the Blue Ridge Parkway (milepost 418), this popular hiking destination features two waterfall adventures, Upper Falls and Second Falls. The trails are relatively flat making this a great spot for families to hike with children. A trail map is located in the parking area for easy reference. Yes it&apos;s called Skinny Dip Falls, but please don&apos;t remove your swimsuit, or you may surprise others looking to enjoy this little waterfall and swimming hole. 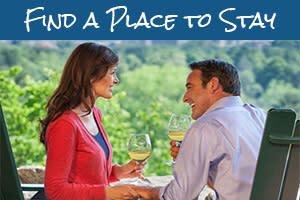 To find it, travel to milepost 417 on the Blue Ridge Parkway. Park at the Looking Glass overlook and the trail head is across the road (look for the white trail blazes). Follow the stairs to the top and then turn left. Located in Old Fort, at the base of the mountains is a beautiful waterfall once off limits to the public. There are two areas, the lower falls and upper falls - however the path to the upper falls is rather treacherous so you need to be in pretty good shape if you want to attempt the climb. The trail head for this moderate hike is located at the end of Catawba River Rd. which is just off of the exit/entrance ramp of exit 73 on I-40. Look on the same side of the interstate as McDonalds as it can be a bit tricky to find. One of the easiest waterfalls to access in the mountains is Looking Glass. 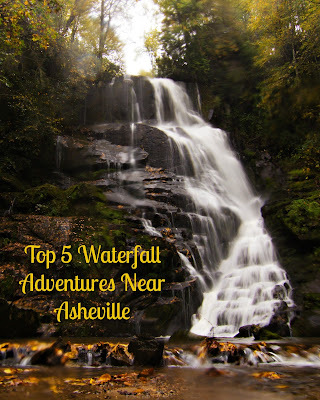 Located along Hwy 276 near Brevard, this spot offers ample street parking, stairs and an accessible ramp to view the falls. In the warmer months you can wade in the cool calm pool at the base. 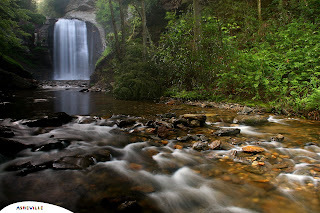 Thrust into the national spotlight during the 2012 big screen debut of The Hunger Games, the waterfalls of Dupont have become the must-see natural wonders in the Blue Ridge Mountains. Visit Bridal Veil Falls and Triple Falls to see where movie magic was made. Want more waterfall recommendations? We&apos;ve got you covered. 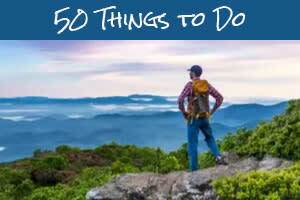 Visit here for more water adventures near Asheville.